When I first saw this, I thought there were clouds painted in the alternating blue concentric rings. Closer inspection leads me to believe that it’s a more fragile pigment that has worn away differently from the other rings. Either way, it’s a stunning effect. Bibliothèque de l’Arsenal, Ms-5061 réserve, fol. 114v. One Response to "How the angelic world governs the celestial"
It looks as if this effect was achieved by deliberate rubbing out. 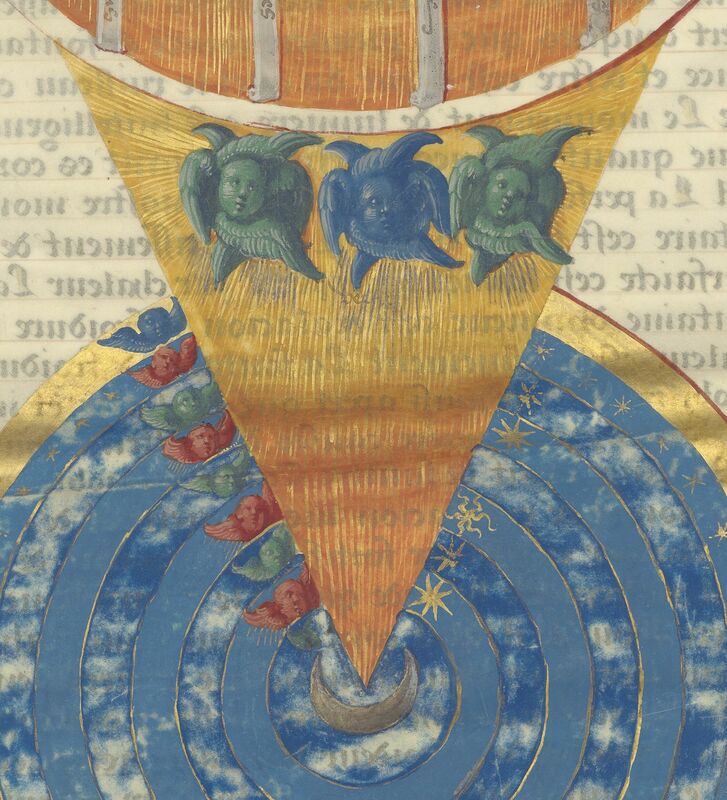 Otherwise, it seems odd that the blue pigment would wear off accidentally from the circles but not the angelic faces. In any case, as you say, stunning. Thank you for this and your many wonderful posts.